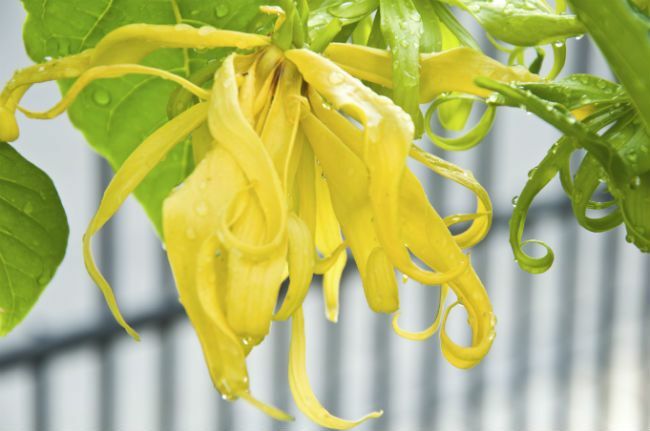 Ylang ylang oil could be your solution to excessive hair fall and brittleness. Every time you run your fingers through your hair, do you end up having a few strands in your hand? Hair fall is as heartbreaking as it is an increasingly common phenomenon. There are many contributing factors to hair fall like stress, bad nutrition, and dandruff. Don't panic, because whatever the cause, there is a solution–ylang-ylang oil. It is extracted from the small, yellow flowers of the plant Cananga odorata, and is extremely potent in resolving your hair problems. Sometimes your kids are sent home with a note saying that the school nurse found lice in your child's hair. But don't worry, as long as you have a tiny phial of ylang ylang oil at home. Take a few drops of ylang ylang oil and mix it with a carrier oil like coconut oil and apply it thoroughly on your kid's scalp and hair. This oil has antiseptic properties and works exceedingly well in getting rid of lice and other fungal infections of the scalp. Ylang ylang oil can easily balance the oil secretions in your scalp and reduce the wet and oily sensation. It quickly percolates into the underlying layers of your scalp and works to strengthen your hair follicles. It also reduces excess oil secretion from the sebaceous glands. It, therefore, promotes hair growth, as well as minimizes chances of painful breakouts in your scalp. is that it also helps smoothen your hair cuticle, which is responsible for the dazzling shine in your hair type. Hot Oil Massage: A hot oil massage is the best way to absorb all the benefits of ylang ylang oil. Just mix five drops of the oil with three tablespoons of olive oil. Then, heat it slightly and apply it to your hair. It is even better if you can wrap your hair in a warm towel and allow your hair to absorb the oil for about 30 minutes. Once done, rinse and wash your hair with a mild shampoo and dry it. Try this remedy once every week and your hair will feel much softer, and you will also notice the gradual reduction in hair loss. As an Additive to Shampoo: Another incredible use for ylang ylang oil is to add it to your shampoo. Just add several drops of the oil into your shampoo bottle and include it in your regular hair care regimen. You don't have to make additional efforts for softer and shinier hair. Conditioning Mask: This one is a tiny bit tricky, but is abundantly useful. First mix equal parts of avocado oil with coconut oil. Then, add tens drops each of ylang ylang oil and sandalwood oil to the mix. Lastly, apply this oil mix sparingly in your hair, especially on the brittle and split ends. This oil combination will help moisten the dry ends and reduce hair splitting. Hair care is not rocket science that requires a lot of effort. It just needs a bit of love, care, and some secret potions to look their best. Ylang ylang oil is one such secret potion for dry and brittle hair. So, use it generously to reap its benefits in abundance.